Connect 5: Is fast charging the cure for range anxiety? Is fast charging the cure for range anxiety? Electric cars launched with much fanfare late in 2010 with the promise of transforming the landscape of American transportation and creating the next growth sector of the economy. Innovation in battery and electric drivetrain technology would be our new core competence. In Feb 2011, no less than President Obama set a goal of one million electric vehicles on the road by 2015. After two years of sales in the US Nissan has sold 18,000 LEAFs and GM has managed 31,000 Volts. Charging Technology. Not only were most people surprised to discover the added cost of a 240V home charger ($1500-$2000) but they also found that you needed to make a trip to City Hall to get a permit for the new circuit. It also did not help that the cord that came with the car was effectively a 110V trickle charger that was nearly useless for overnight charging. 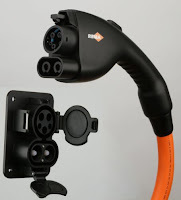 To cause yet more confusion the LEAF had an optional fast charging socket using the proprietary Japanese CHAdeMO interface. It was rightly claimed in their literature and website that you could get 80% charge in 30 min. Of course the number of public CHAdeMO chargers in California (the largest EV market) could be counted on one hand, and still can! Driving Range. The range of an EV has been a fluid concept from the beginning, with varied claims from the carmakers, EPA and consumers with real-world numbers. 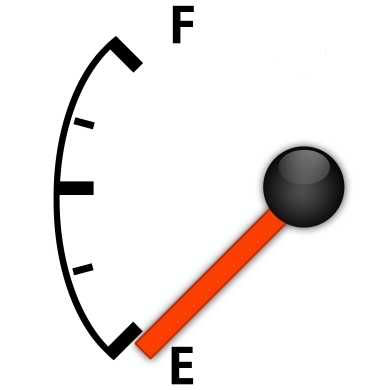 Lets take the case of the LEAF which was originally supposed to go 100 miles on a charge. But then the EPA assigned a range of 73 miles based on a "2-cycle" test. Recently reports of reduced range in hot weather (45 miles reported in one instance) started surfacing, causing Nissan to buyback any cars that had such as claim. Adding insult to injury, this buyback is covered in Arizona under the Lemon Law. "Range anxiety" is no longer a funny phrase. Extended Range. Range extension is perhaps the most elegant yet misunderstood idea. Best implemented by the Chevy Volt, it neatly sidesteps the either/or debate and weans us off pure ICE transportation. In its simplest form a small engine kicks in after the battery is depleted and starts charging the battery via a generator. The battery of course turns the drive motor. In effect a series system, compared to the more complex "parallel" transmission of a pure hybrid such as a Prius. Perhaps most exciting, the BMW i3 will be getting a motorcycle engine as a range extender. Lets call them EREV's as no one has settled on a name yet! After much debate the SAE upgraded the 120/240V AC coupler standard to also accept high voltage DC, thus making fast charging possible. Perhaps not to everybody's liking, it eliminates fragmentation from CHAdeMO or the proprietary Tesla fast charger. At least for the US market this should reduce uncertainty and accelerate EV adoption. Only now are we getting a dribble of news from automakers on their plans to launch EVs with combo couplers. Notable ones for late 2013 and 2014 are the Chevy Spark and the BMW i3. With this backdrop, what is the future of the EV? And is the combo-coupler the harbinger of new business models. These are not mutually exclusive, but for the most part form three clusters. How are the current players doing so far? Make Transitional EREV's. The Volt will continue to lead the pack with a 40 miles electric-only range which covers many basic use-cases. Compared to this the Plug-in Prius has a range of 11 miles in electric mode and the Ford C-MAX Energi a range of 21 miles -- both are non-starters. In reality they are hybrids with a small band-aid battery bolted on. This will only confuse consumers who will wonder why they should even bother with a plug. Brute Force. This may seem obvious, but no one but Tesla had the insight to go down this path. Taking a page from the Apple playbook by obsessing over essential features, Tesla has shown that a pure EV can have a range of 300 miles (265 miles according to EPA). The result may be a pricey car, but absolutely everyone raves about it including Motor Trend which named it 2013 car of the year. More kudos to Tesla. Build an Ecosystem. It may be an old chestnut, but any shift in energy infrastructure from fossil fuels to electricity is a chicken and egg problem, and will require some new business models, good timing and luck. In short an ecosystem has to develop around fast charging, which of course depends on the number of combo-couplers in circulation. The astute marketing folks at Tesla clearly saw a PR opportunity and wasted no time in hyping their new Supercharging Network. Never mind that this business model does not scale, as surely a Tesla owner is not waiting around for 30 minutes to get his turn to fast-charge. However, it does show us possible business models for movie theaters, shopping malls and even supermarkets. In short, anywhere you could spend 30 minutes or more. The payment would show up on your electric bill, with a commission going to the operator. So who will make a move in this nascent market? Copyright © 2012 |. Simple theme. Powered by Blogger.